While these were actually painted in February, I only got around to basing and photographing these guys now. 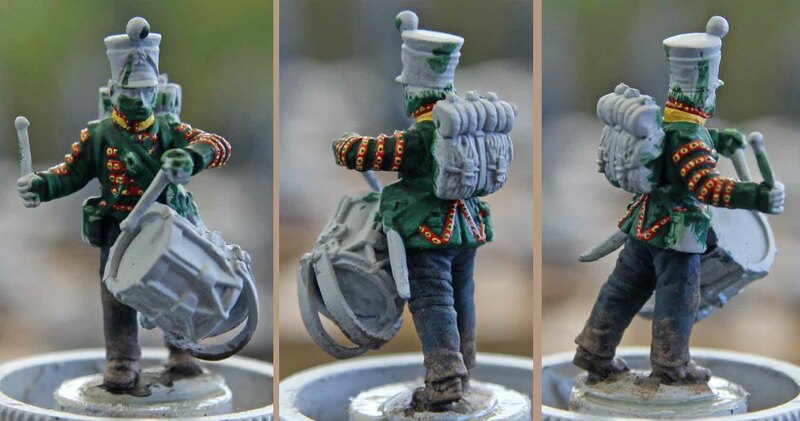 Some of you might ask why I am painting Austrian Jäger right now, while I am in the middle of doing Prussians and French for my Möckern project and why I only painted four instead of a whole unit. Well they are for my Möckern project. When looking at the first day actions at Leipzig, most people perceive the Prussian avant-garde to be on the flank of the allied units, but this is only partly true. In a tactical sense they were with their right flank hinging on the swampy terrain formed by the myriad of rivers and creeks near Möckern. 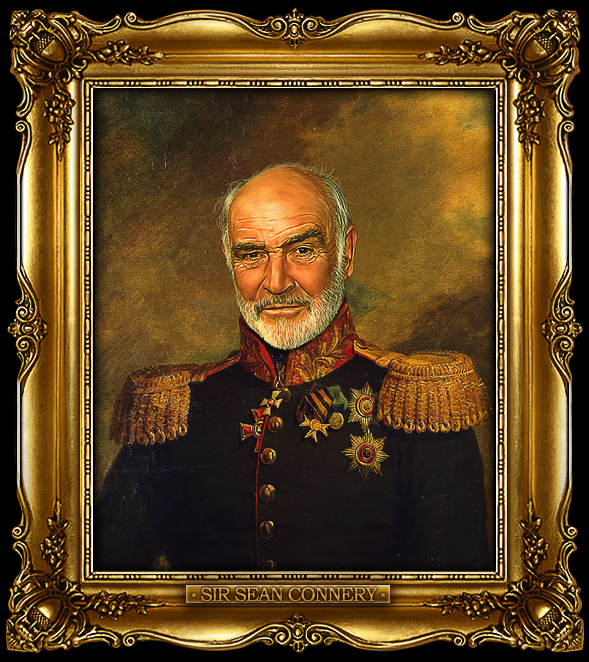 But in a strategic sense they were not since there were the Austrians to their right behind said swamp. Now the allied plans called for some Austrian units to move through said swamp to surprise the French, which was a failure, since they did not know their way and their local guides were anything but local. 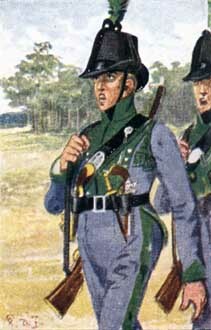 Prussian after action report about the battle at Möckern all talk about a unit of Östereichische Jäger, roughly company sized, appearing in the Prussian rear shortly before the assaults began. While none of the reports mention the unit they came from, most say that they were separated from their parent formation and got lost in the swamps. 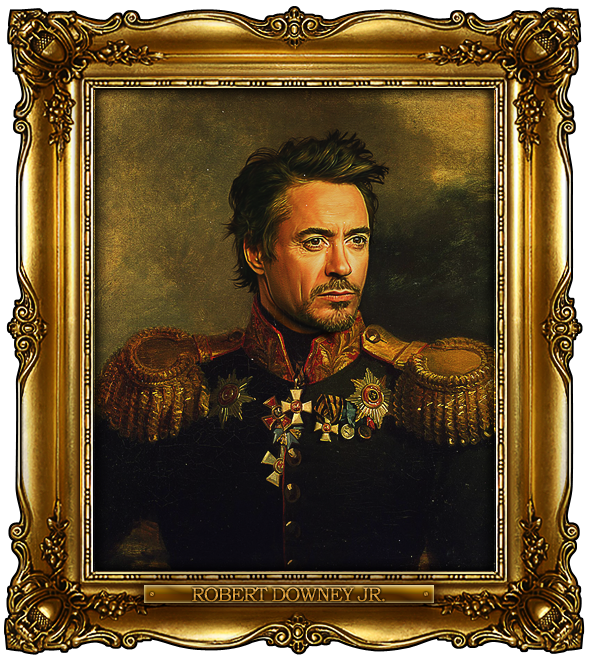 Technically this faced the Prussians with a problem. They did not have the resources and time to get them back to their parent formation and indeed they even lacked the knowledge where exactly those Austrians were supposed to be. So they offered the Austrians a choice. 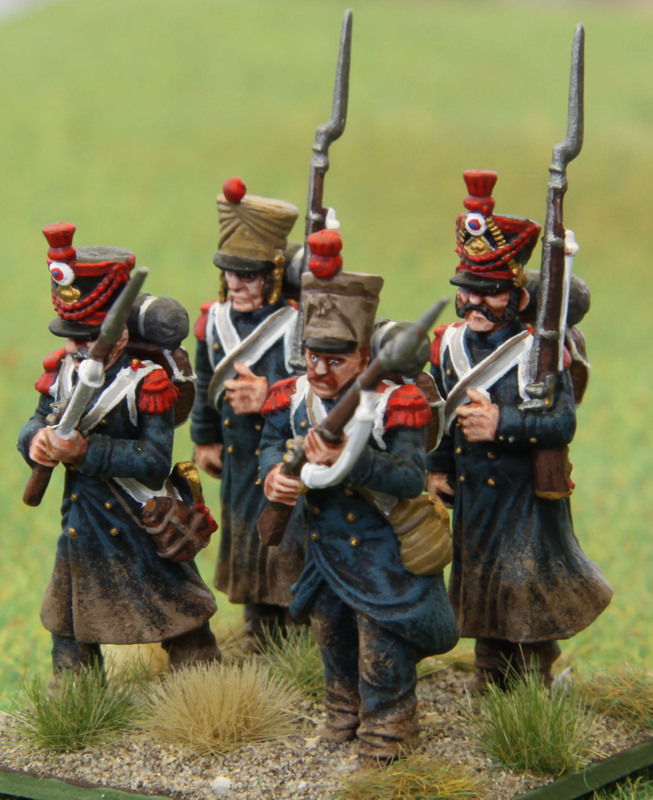 They could sit things out behind Prussian lines till the evening or the next day when the Prussians would try to march them “home” or while they were here, they could join the Prussians in the assault. The Austrians chose the later and were attached to the 4th battalion of the 15te Schlesische Landwehr for the day. Now choosing minis became my first problem. Believe it or not… There seem to be few companies doing Austrian Jäger, the best choices I found were Foundry and Front Rank. 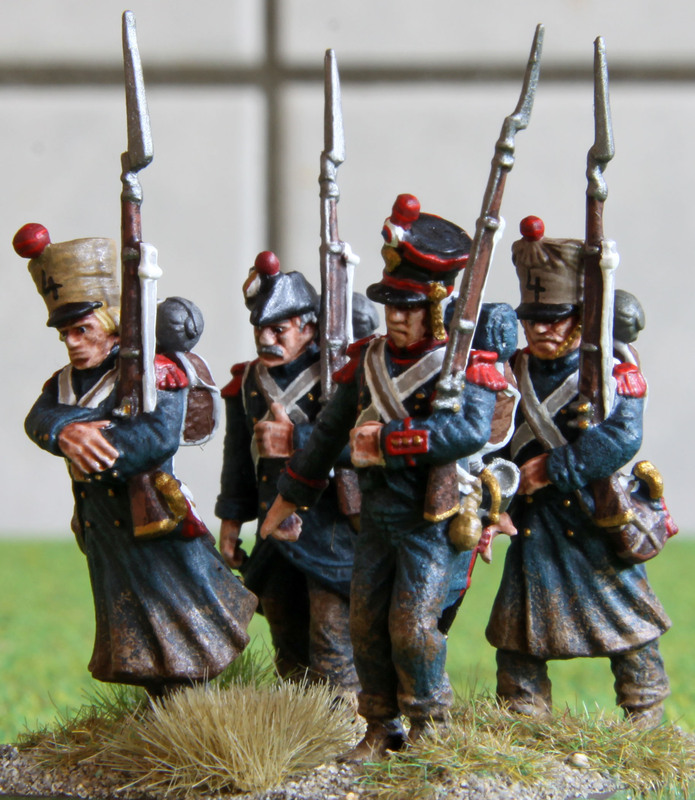 Since Foundry Austrians generally are pretty small, I went for Front Rank. 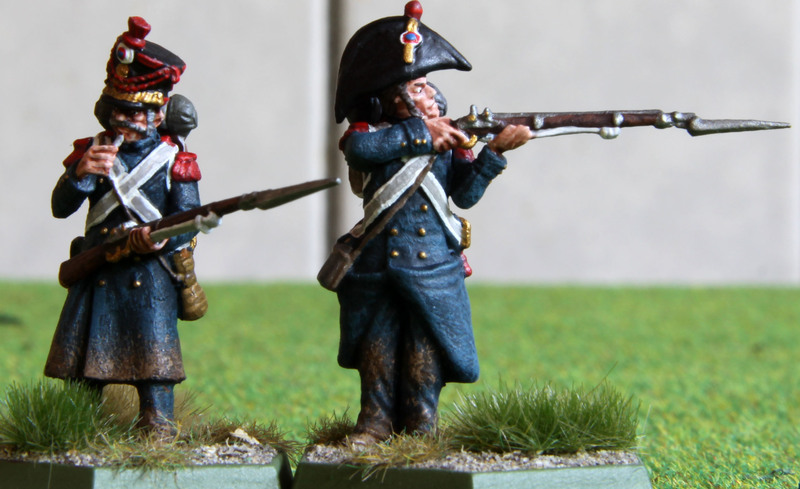 While those might seem large when compared to Victrix and Perry, which eventually will make up the bulk of my Austrians, it will not be so bad to make them stand out when placed in separate units. 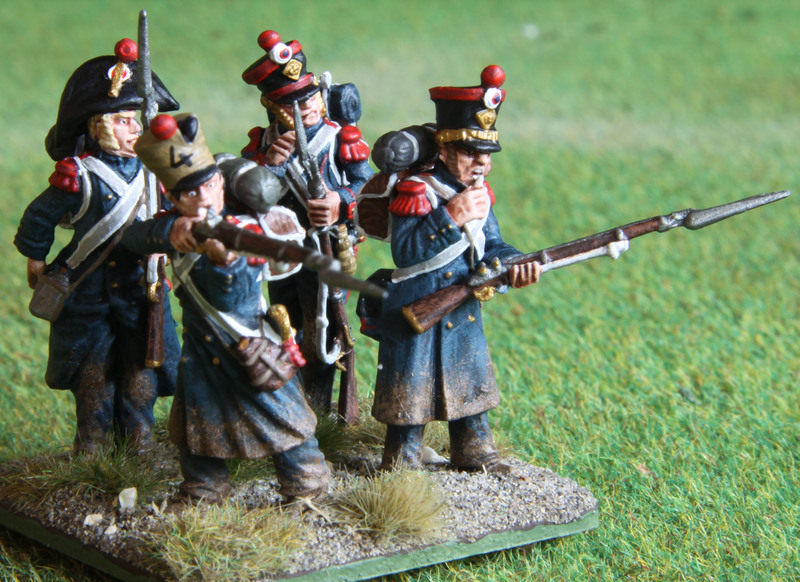 But they will look good when mixed within a unit of my Prussian Landwehr by Calpe. The bigger problem was their uniform colour. 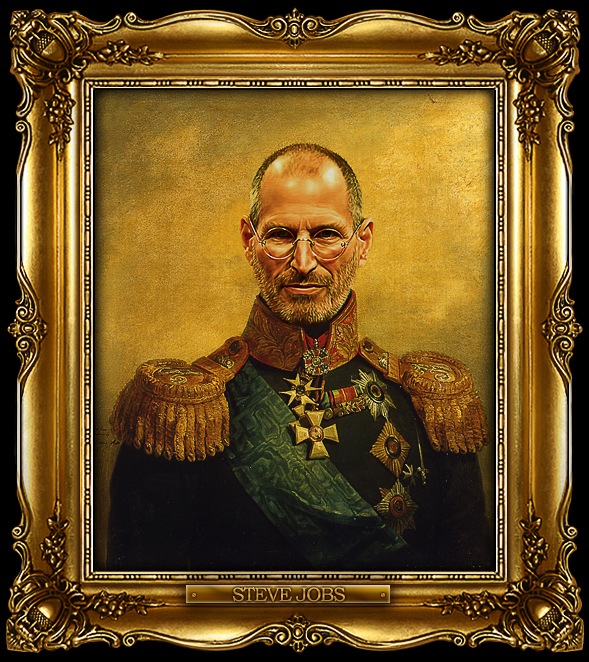 Most illustrations you find differ in colour… and by a large deal at that. The official colour was called a light Hechtgrau, which references to the fish pike. You get anything from light grey to virtual slate greys. The best reference I found was for a Tyrolian Jäger in the Lützower Freikorps. 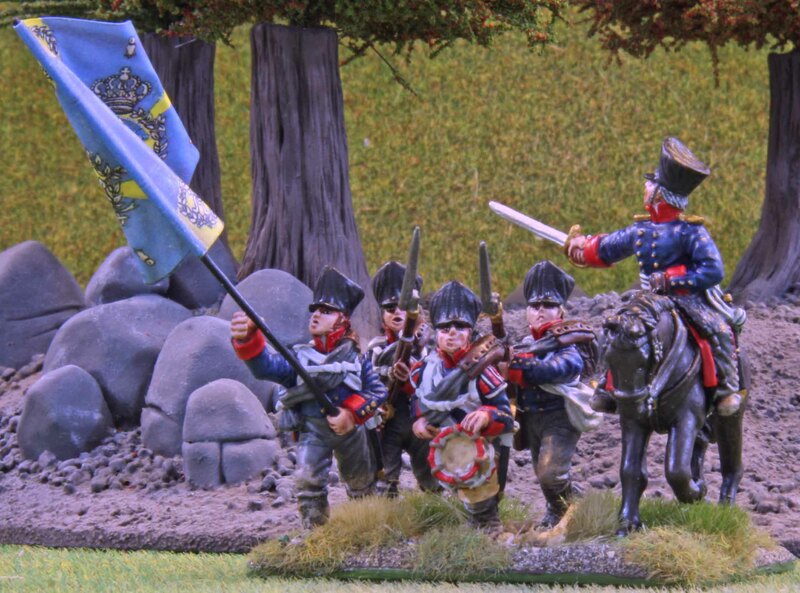 While Prussian the uniform was greatly inspired by the Austrians, but I did not want to settle with this. The minis themselves were a joy to paint, and from a sculpting point of view I was more than impressed by the quality and detail on these Front Ranks. 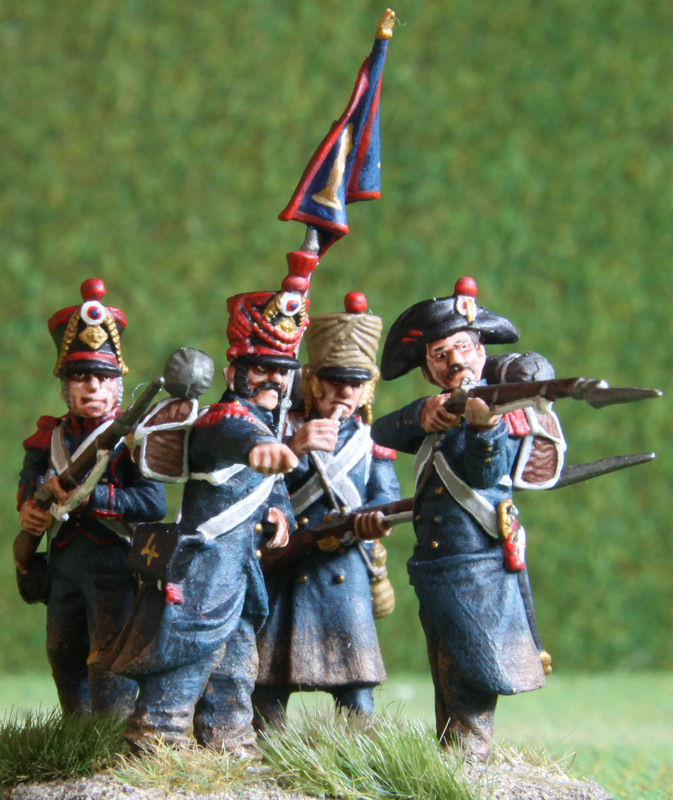 The only gripe I had was, that these minis were actually quiet boring with their grey uniforms and black belting. Unfortunately, Front Rank created them without Brotbeutel, which would have added a little touch of white, but if this is my only complaint, I think I should really shut up and show you some pictures! 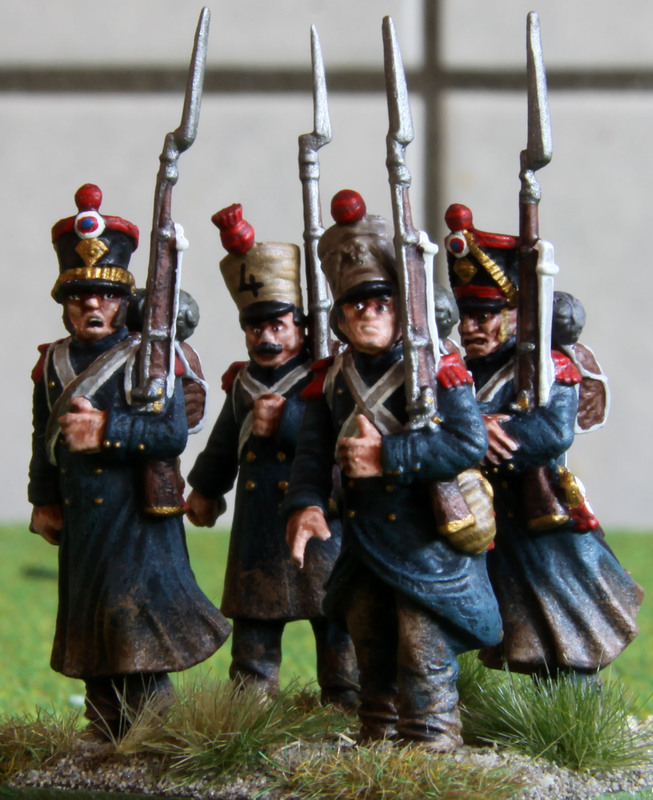 After a few weeks the Prussian Westpreussisches Grenadierbattalion for my Möckern (Völkerschlacht of Leipzig) project are finally finished. 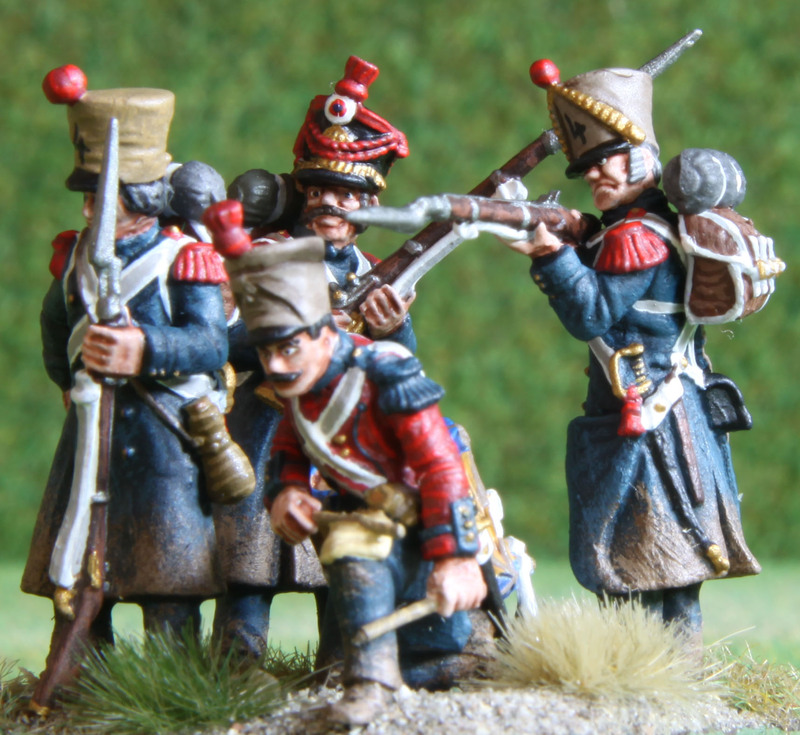 All minis are Calpe in 28mm (with the exception of the French casualty on the skirmisher base, which is a Perry plastic). 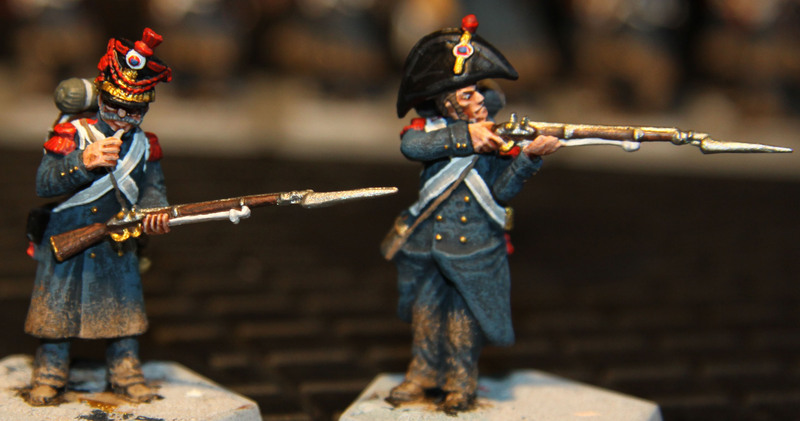 While the Knötel print to the left depicts the Musketiere from both the 1st and 2nd Westpreussische Infanterieregimenter, these can be seen as good representations of the minis painted here, since the only difference was the colours of the swordknots. 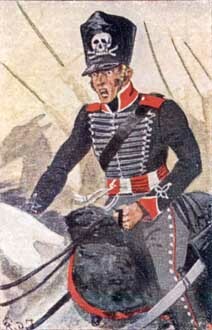 Now the regiment had quite an illustrious career during the Befreiungskriege seeing action at Möckern (the one in April 1813 not the one I am painting for), Königswartha, Groß-Görschen, Bautzen, Dresden, Culm, Wachau, Leipzig. 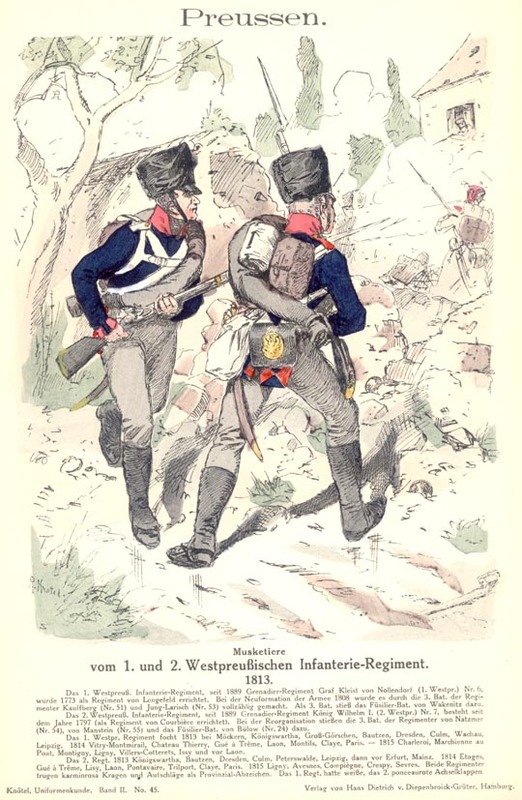 In 1814 they ended up in Paris after long campaigning and were called up in 1815 once more to fight at Ligny and many of the smaller battles leading to it and later on into France. At Möckern (Leipzig) they fought with 582 men, which translates into 29 minis and four skirmishers at Republic to Empires 1:20 ratio. 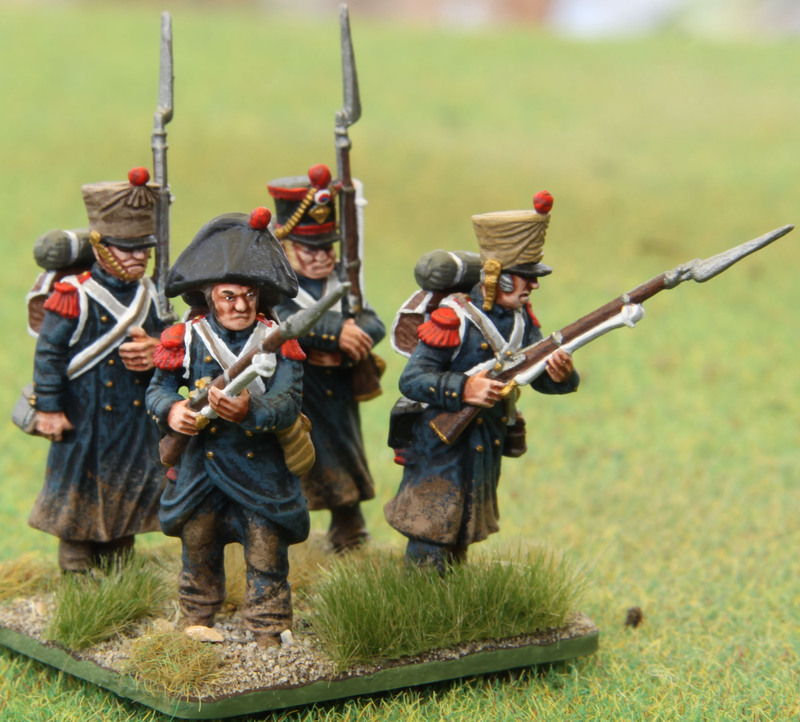 I have to admit, that while this is not the largest Napoleonic unit I ever painted, this is the largest I painted in one go (as opposed to small batches) and this was a huge mistake. When painting every single colour takes at least an hour, you start to lose interest somewhere along the route. Anyway… they are now finished and I am happy with the results. But as a result though the next things on my table are smaller batches. 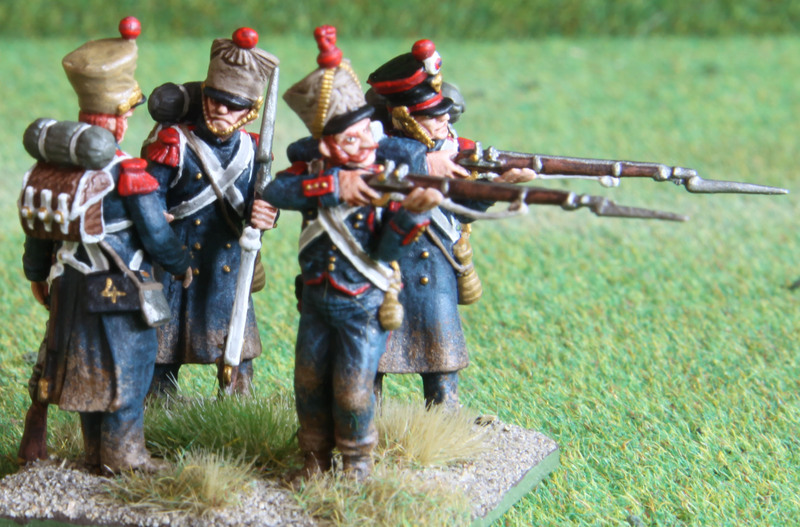 Already finished four Austrian Jäger (they are awaiting their varnish and basing) and next are Prussian and French officers. 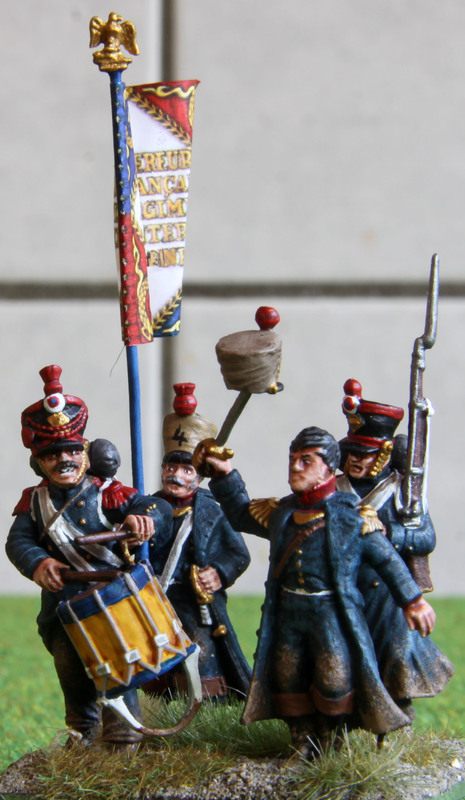 As you know I have been painting units from von Yorck´s advance guard at Leipzig for some time now, but this is the first regular unit with a flag for me. All the others have either been Landwehr and Reserves with non-regulation flags, or Schützen and Fuisiliere without any. It is strange what a change something like a different type of flag can be, but it really was for me when done. 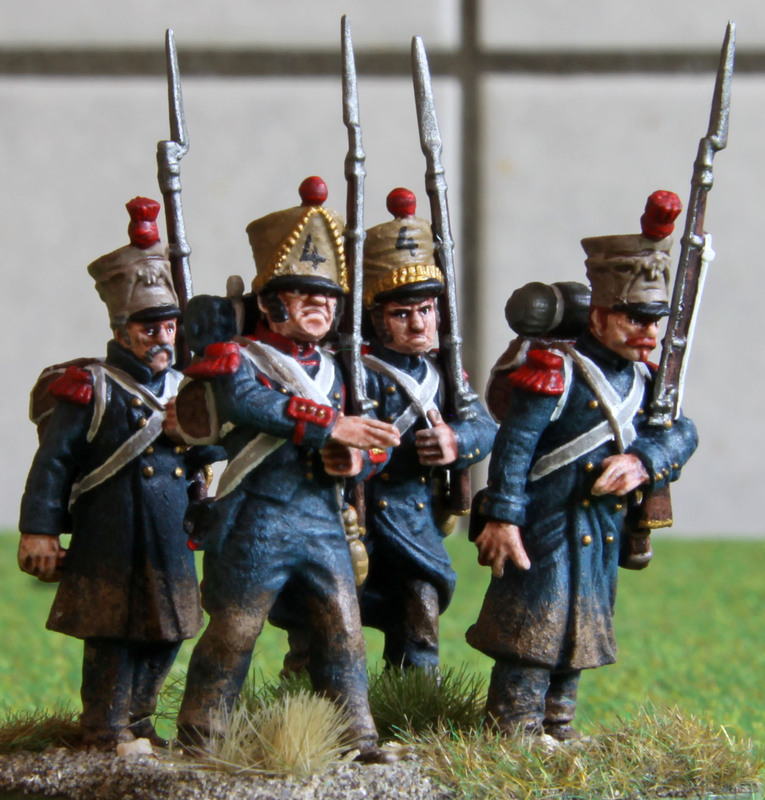 Together with the posh (at least for Prussian standards) grenadier uniforms, it was a real joy to see them done. 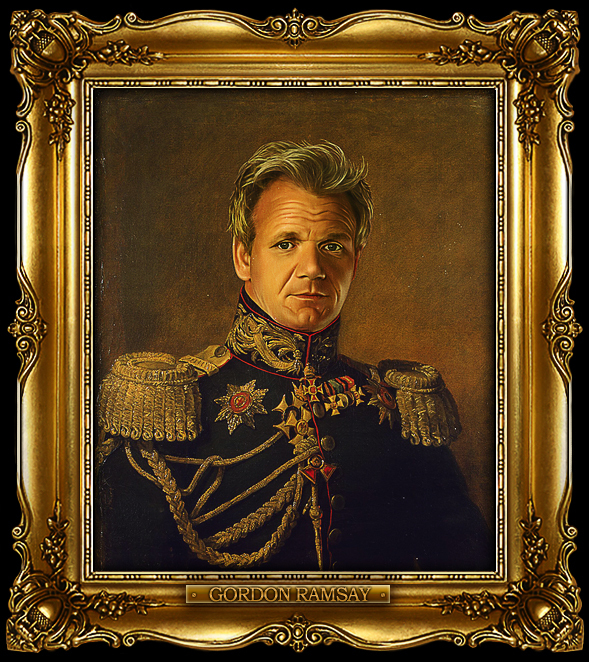 I hope they will do me proud on the table. One thing that left me slightly irritated was the colours of their flag, yellow on blue, which I would rather associate with Silesia. If anyone can shed some light into this I would be more than happy to hear why this is so. Now photographing these mini gave me a huge headache. With their muskets in front of their bodies, I arranged the minis in a way, that they would not interfere with one another no matter in which formation I placed the bases. Unfortunately, this also meant, that I would always end up with at least two faces being obscured by a musket. In the end I gave up, so the majority of photos will by group shots this time. Hope you can forgive me, since you will be able to click them for larger versions! 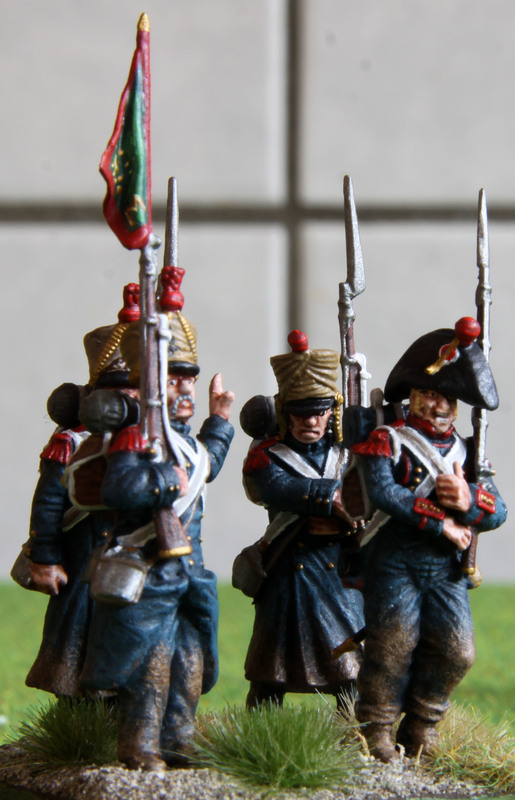 After all the hassle with the telephone and internet in the house (plus the fact that I chose to install new lighting in the games room yesterday) I started work on another French unit for the Möckern project. This time it is the 3rd battalion for the 37eme Légère. While you might have noticed, that I am not much of a “work in progress” man, I spend some time on the drummer for the unit today. All the piping on the French musicians usually drives me bonkers and today was no exception, but I am happy with the results, so I decided to show a little WIP. The mini itself is a Perry plastic with the cuff flaps cut off to turn him into a Légère. This battalion will feature an all plastic line-up, since I already had the minis cleaned and primed and simply wanted to get started. The other battalions will feature a mix of plastic and metal. So after the hiatus in posts over the past week here is something new. The 2tes Leibhusarenregiment in strength for my Möckern / Völkerschlacht project. All the minis shown here are Calpe and based for Republic to Empire. At 183 men it was quite small at Möckern (or at least those squadrons that were part of von Yorcks Advanced Guard), so it is only represented by 9 minis here. But this means they divided nicely amongst three stands of three minis each. 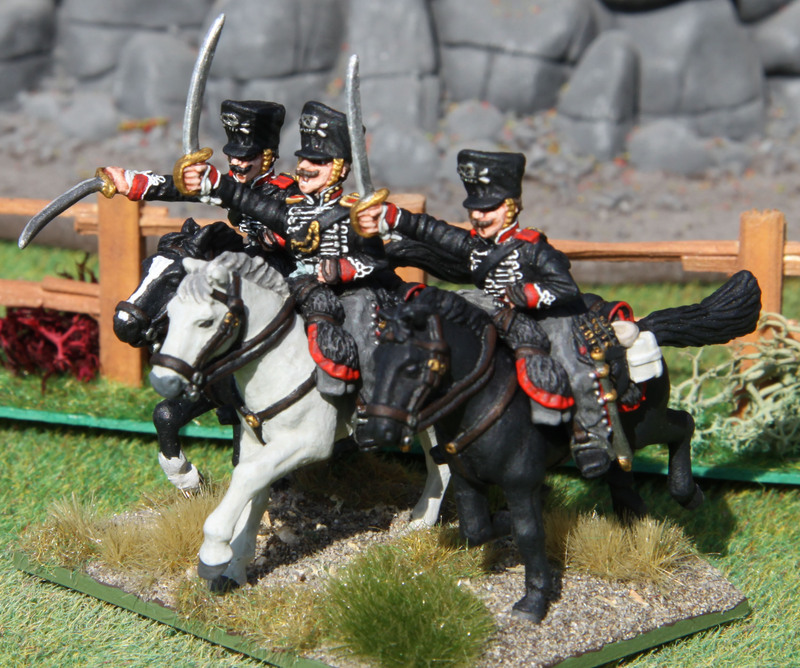 At first I thought it would be quiet a bleak unit to paint with their black uniforms and saddle fur and only some red and white piping. But in the end it turned out looking lovely. 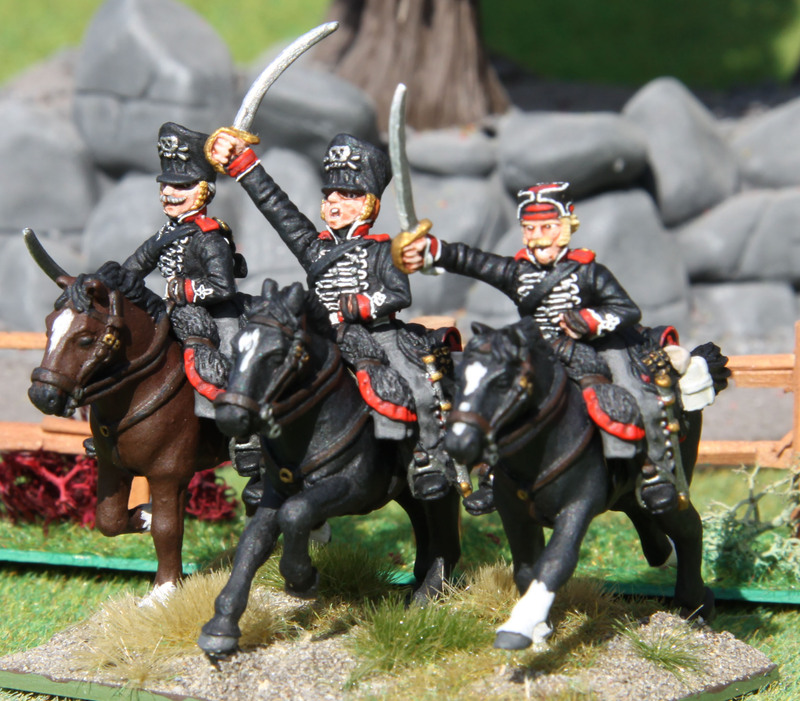 Prussia had huge problems finding proper mounts for their cavalry and hardly adhered to the normal distribution of horse colours (dark for the troopers and light for trumpeters and in some units officers) by 1813. This being one of the more prestigious units and I felt that they would be outfitted with horses in regulation colours though. So there are only two dark browns in here and a white horse for the officer. All the rest are black. 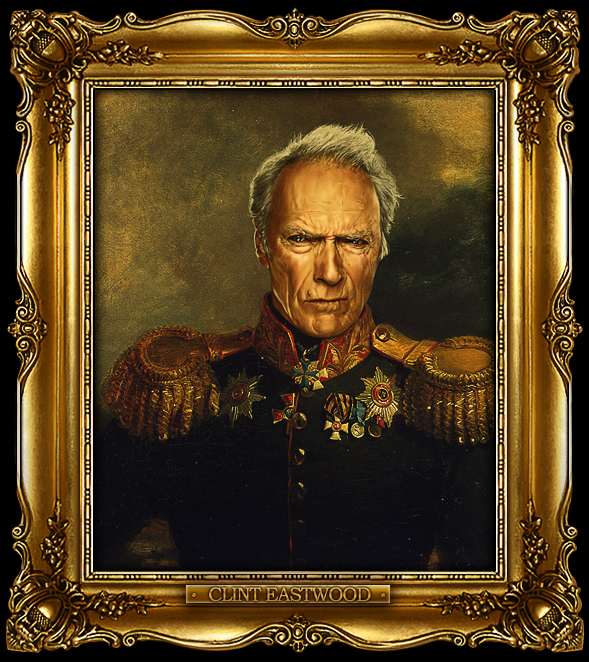 Now this unit itself was formed in 1740 as the 5th Husarenregiment by order of King Friederich II. This lasted until the 20th December 1808 when the Regiment was split in two and turned into the 1st and 2nd Leibhusaren. There are two stories as to why their uniforms were black. The first states that the unit was originally uniformed using the black drapes that had been hung inside the Stadtschloss (Citypalace) in Potsdam during the mourning for King Friedrich Wilhelm in 1740. The second refers to the fact, that the unit was raised with funds from the fines (both in money and goods) from the monastery in Leubus (Silesia), which was punished for allying themselves with the Austrians in 1740. The goods that were produced the most there were black mourning drapes with white skulls embroiled on them. Pick whatever version you like best, as both make sense. The skull and crossbones worn on the caps might hail from the later version, but this is also an old German symbol denoting that mercy would neither by expected nor given by units wearing it. There is about one week let to go till the deadline for the La Bricole painting competition but I managed to get the 2nd battalion of the 4ème Régiment d’Artillerie de la marine (the third to be painted) done. 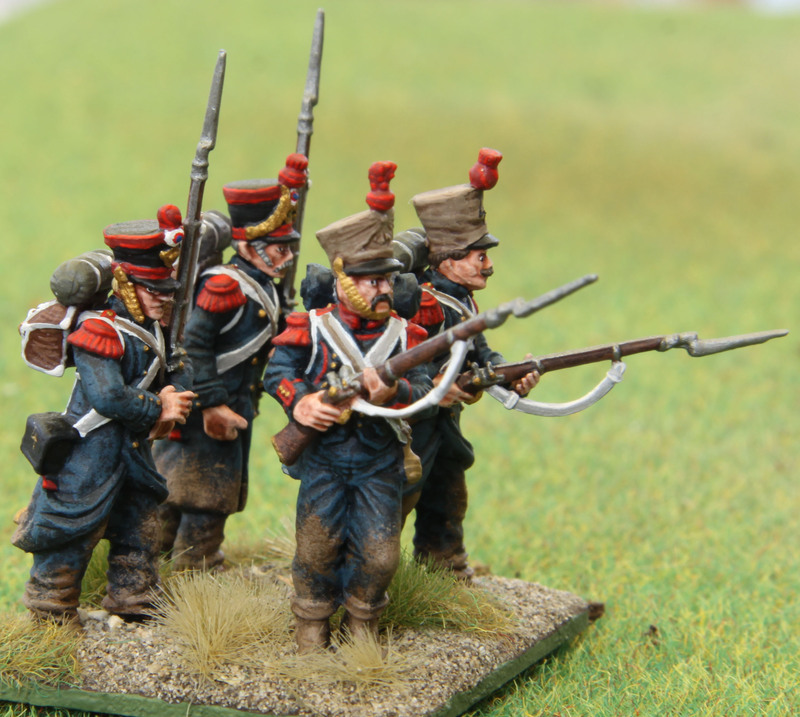 So now all three battalions and therefore the whole regiment are finished. I have to say, that I am quiet happy I chose this unit for th competition. 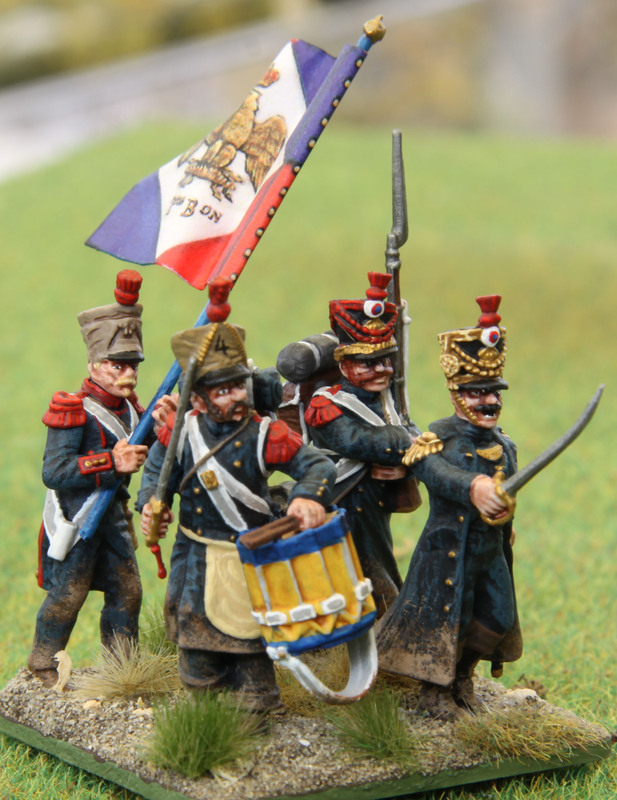 Since they wore dark blue coats over dark blue uniforms, they were not the most diverse unit to paint and it became a chore somewhere along the way. 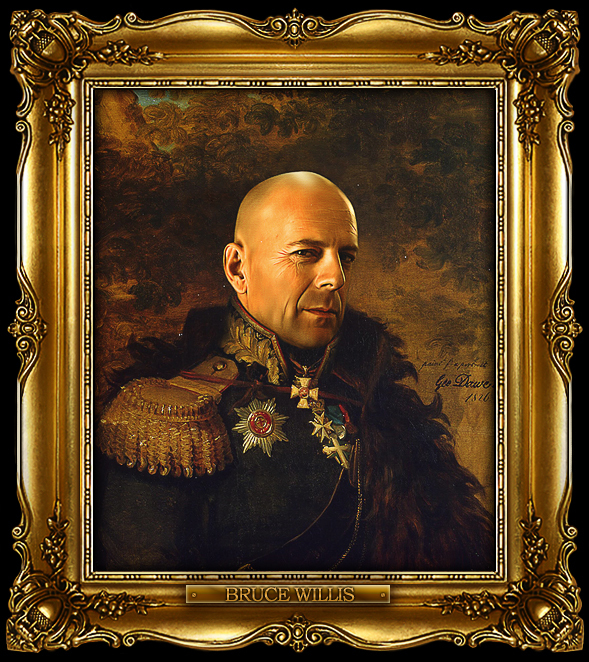 I had been sure, that this would be the case and pledging to paint all three battalions as part of a competition was my trick to keep me going. And it worked! Plus I am really happy with the result no matter how they do in the competition. To keep with the maritime theme for those battalions not issued with an eagle, I carved a fish from a piece of plastic for the finial here. I had planned it to look like the fish used to indicate rounds raced in the ancient Circus Maximus in Rome, but it came out rather longish and looks more like a trout. Unfortunately, I took this photo at an agle where you see it from the front, but it shows on some of the unit shots. While these two skirmishers were painted when I did the first battalion, they belong to the second (the only one large enough to deploy skirmishers under the R2E rules) so here they are again. 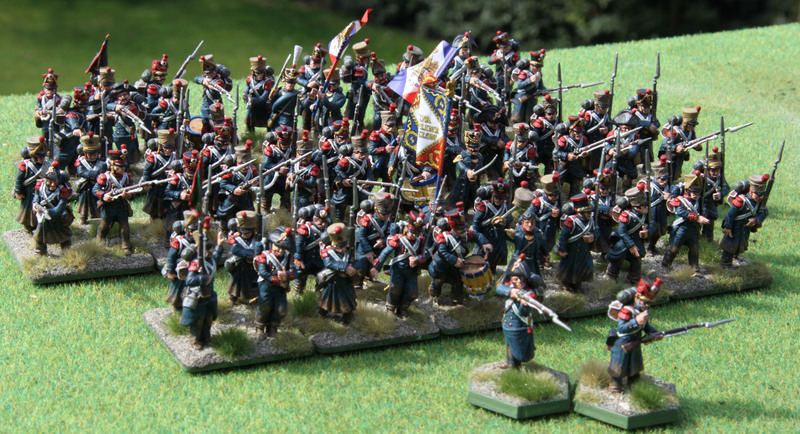 And last… the whole regiment deployed one battalion behind the other. In total these are 66 minis. 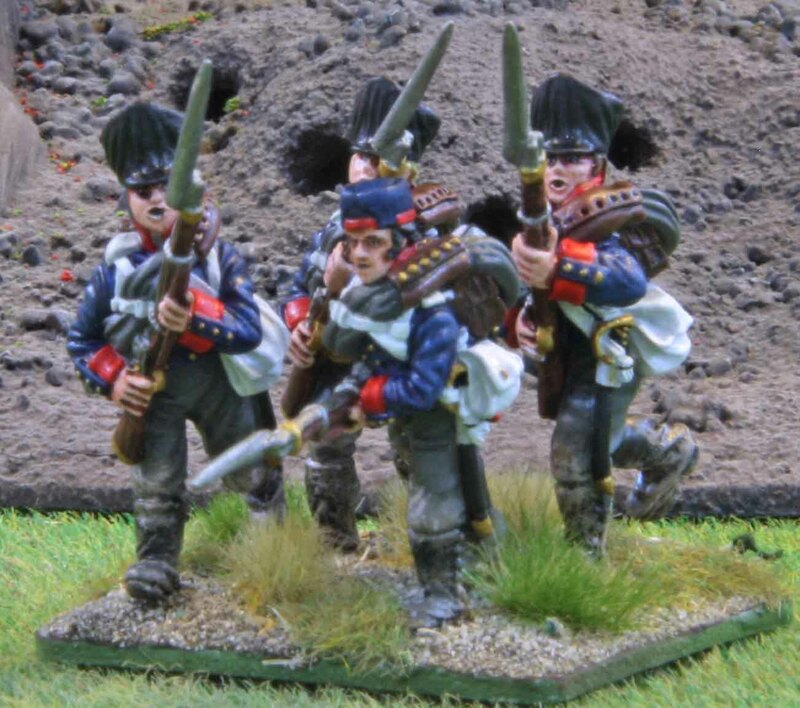 64 of them are Victrix from the old Guard and Infantry boxed sets with shakos in place of the bearskin caps. Two minis are from Perry. 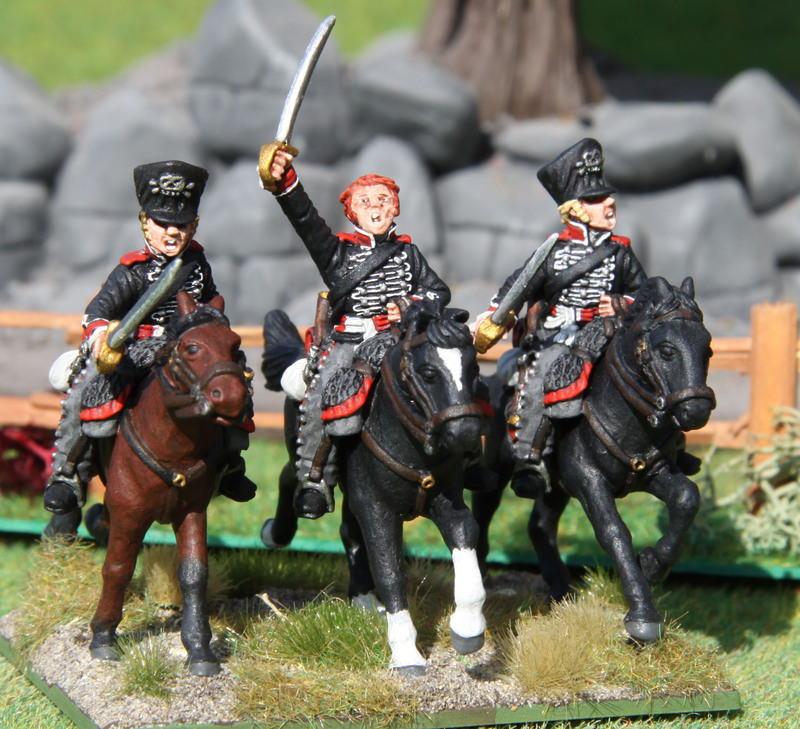 One last comment one these… Victrix minis have a reputation of bayonets breaking. I have not had a single broken bayonet with any of the 64 Victrix minis here and I did not treat them any “nicer” then I would metal minis. I even dared to put a shako on top the plastic sword of the officer for the first battalion and it did not break off. So if anything I can attest to them being robust. 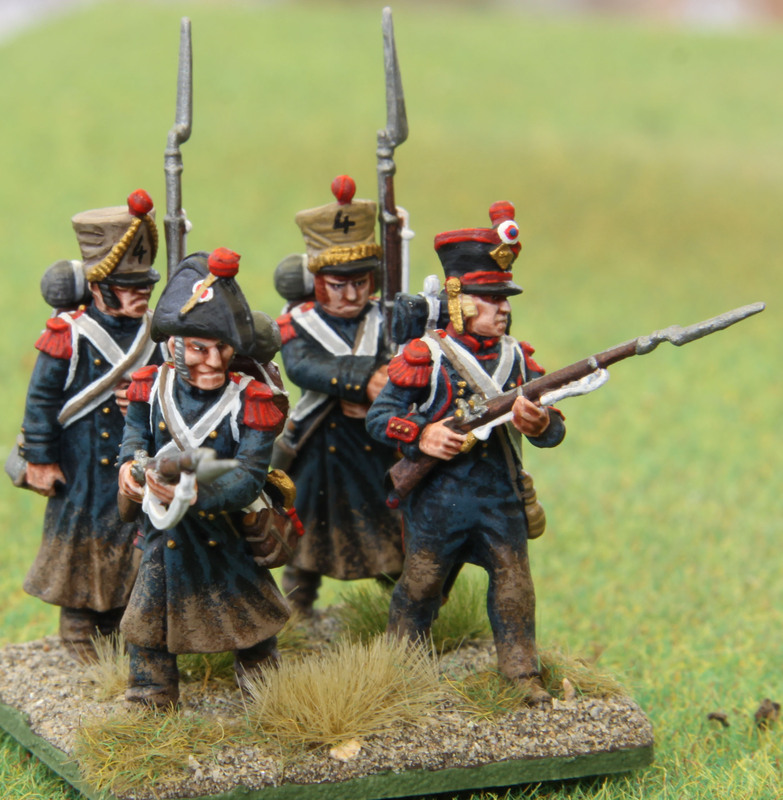 As mentioned in a previous post they were mistaken at Leipzig for Guard Marines or even Guard infantry, due to their dark blue greatcoats. I still assume, that a few of the men wore did not wear the greatcoats over their normal uniform, so I always mix in a few men not wearing greatcoats (about 1 in 5). For this battalion the drummer is one of them. I chose to give him reversed colours for his jacket to add a little colour to all that dark blue. 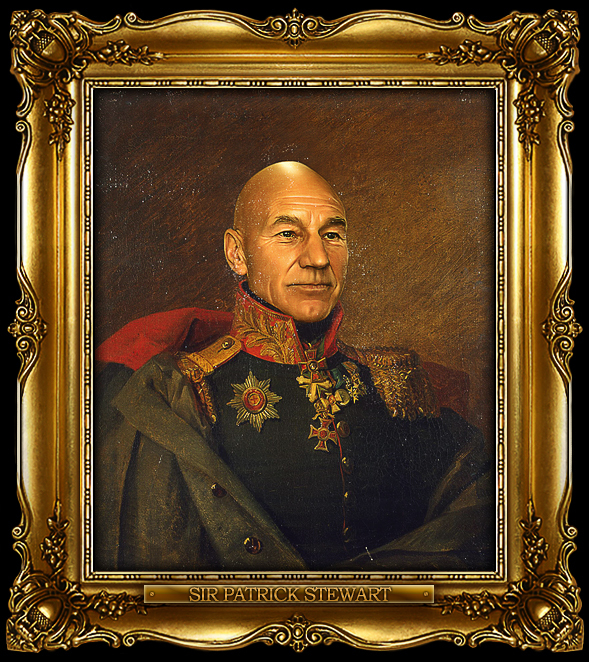 I could not find any information if this was historically correct or not, but I liked the looks and the fact that it broke up the monotony. The mini is a Victrix infantryman converted to drummer with a Perry head by the way. Since this is the 3rd battalion it was not issued with an eagle. Those always went to the 1st battalions. Now usually the battalions not issued with an eagle used spearhead shaped finials, but I wanted something special. In the end I thought that a trident would be fitting for a marine unit, so I carved one from plasticard. 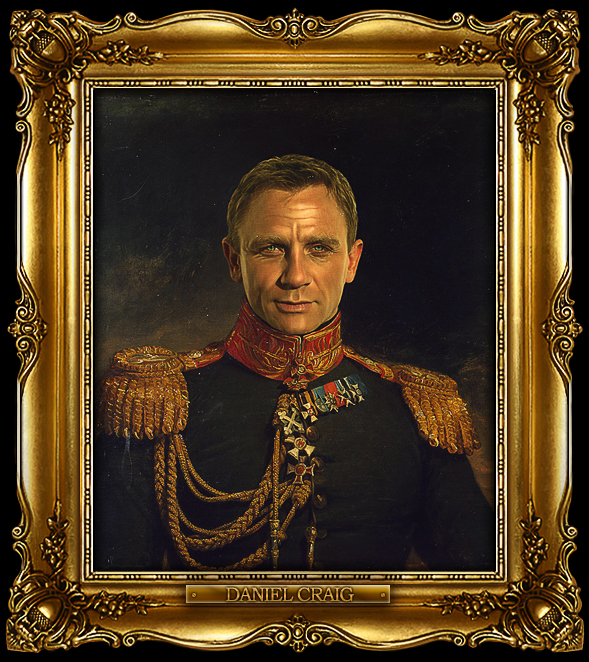 I am thinking about something similar for the 2nd battalion… maybe a fish or something like that. Lets just see! The 2nd and final battalion is on my painting table already and are all dark blue right now. I just hope they do not take as long as these guys! OK the weather still has not turned warmer here, but I could not stand having nearly finished minis sitting around here for much longer. So I decided that I would not enter by game room for one day (due to the fumes) and (spray-)varnish them indoors. 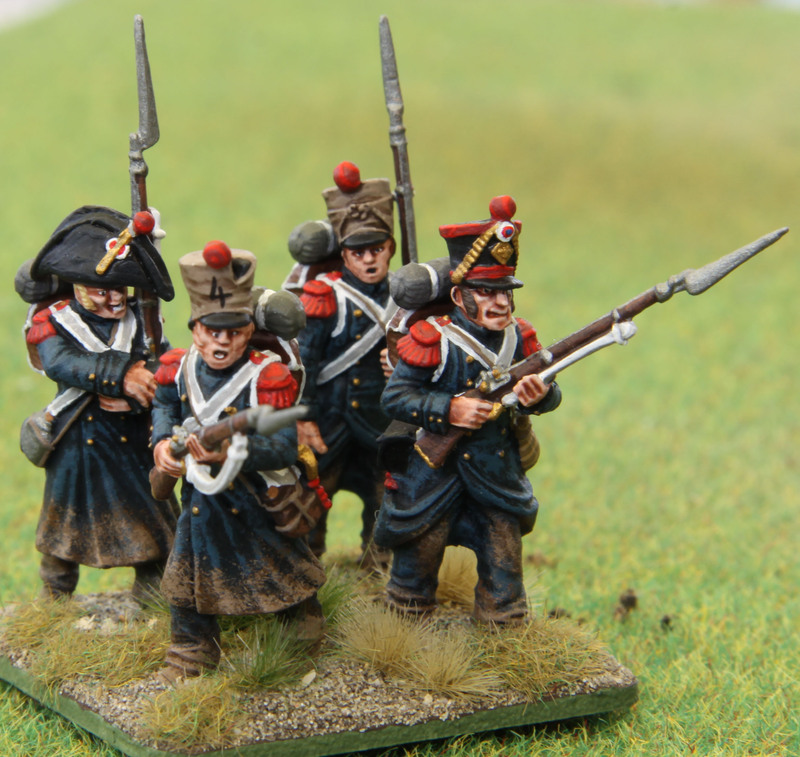 So here is the first finished batch of Napoleonic French Marines for the La Bricole painting competition. 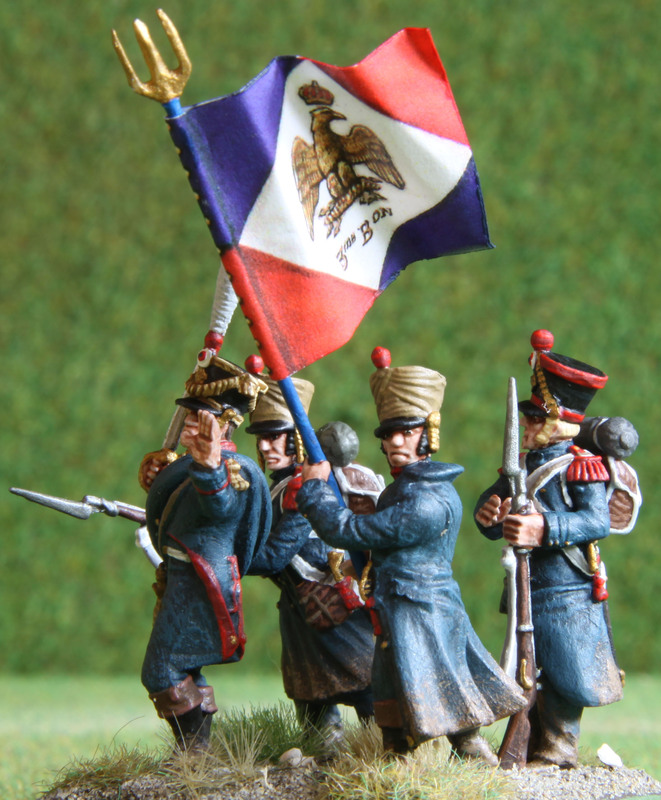 Except for the varnish and basing the only new thing is that I painted the flag over even more. 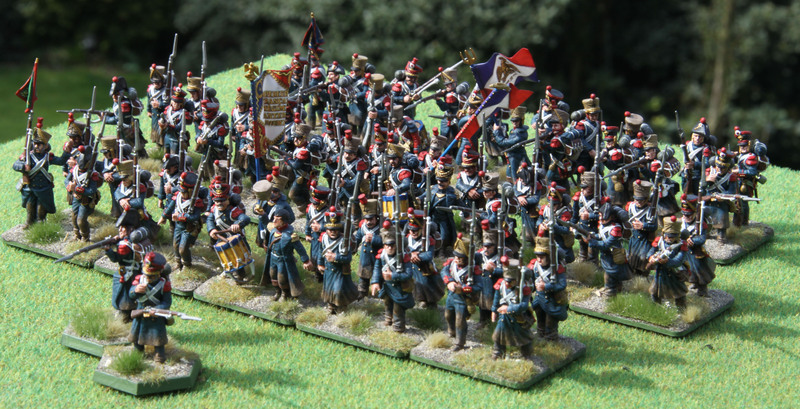 But there are the minis in all their glory, ready to take on von Yorck´s Prussians at Leipzig! 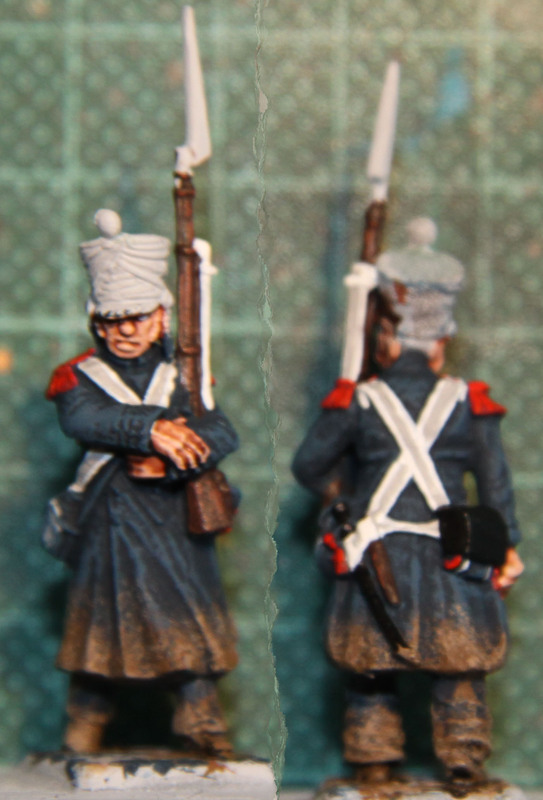 I usually do not paint regimental number on shako covers or ammo pouches, since I want to keep the units generic. Because lets face it… from a normal table distance you can not make out the writing on the flags. On the other hand the numbers on the shakos and pouches are more obvious, since they are bigger and offer a higher contrast. 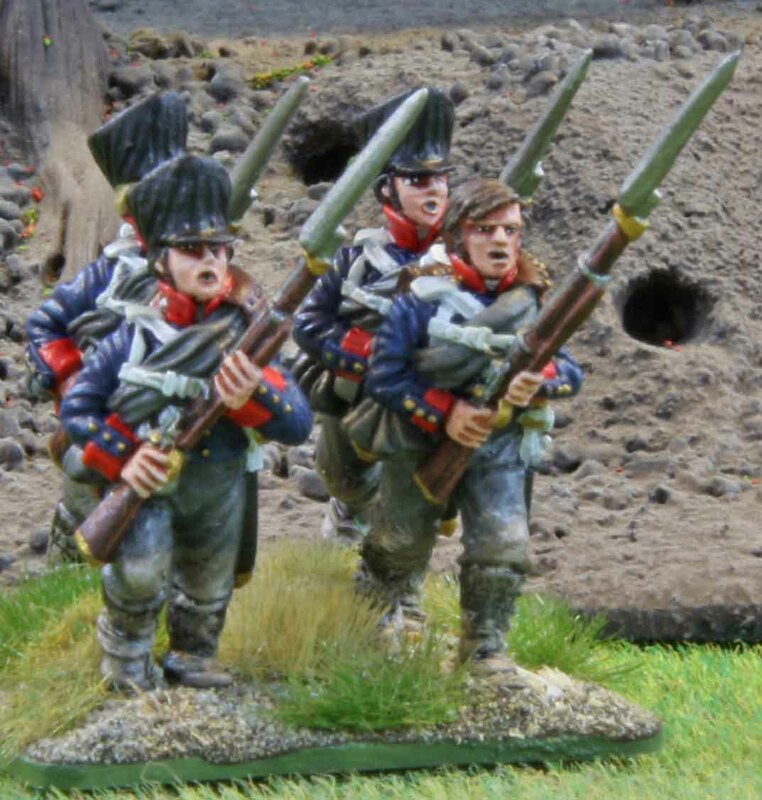 So if I leave them off the lets say 54th Regiment can just as well depict the 77th in the next game. Since the Völkerscchlacht game will most likely be my only use of Marines, I did not care this much here. 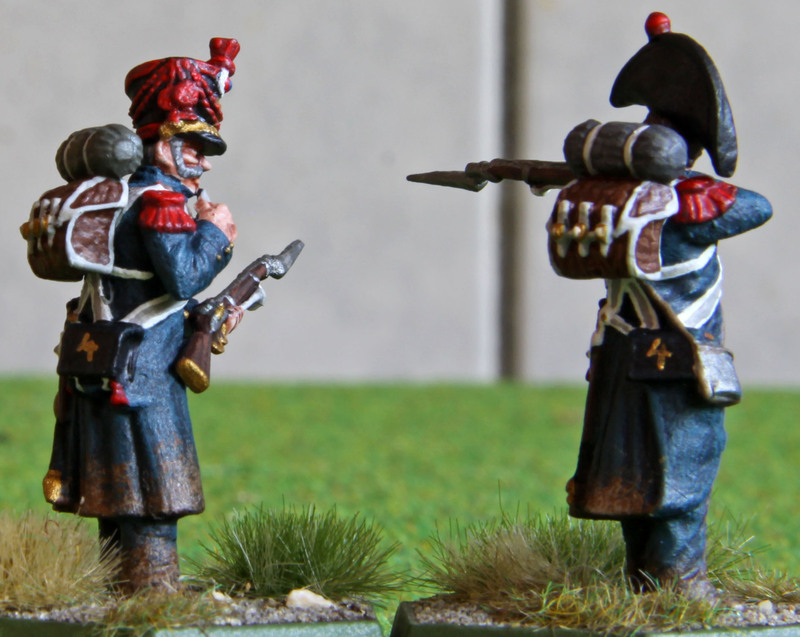 To round the pictures off, here are two shots of the skirmishers. 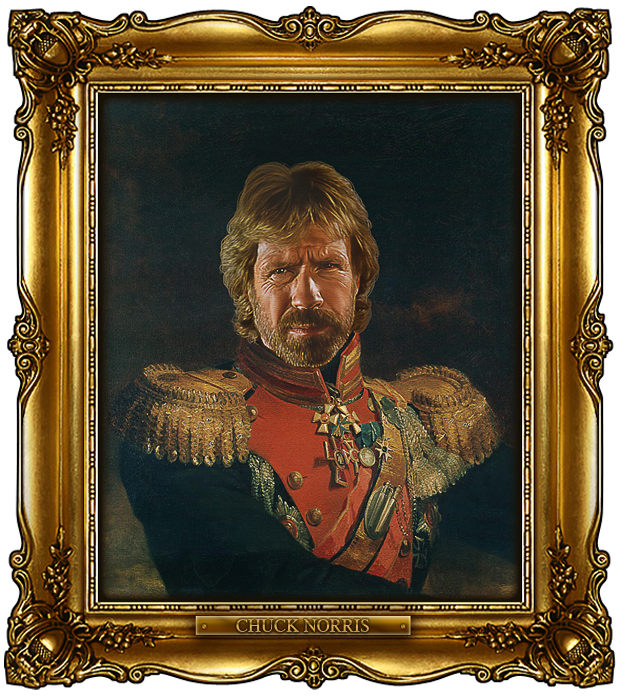 As I said before these will not see use with the 1st battalion, but the 2nd. Since they are finished they get their 15 minutes of fame now. Next up is the skirmisher pair. Now while painting these minis it dawned on me, that only the 2nd battalion will be large enough to deploy skirmishers under the R2E rules, so these will not see use with this battalion. In retrospect this seems to be a common mistake for me. 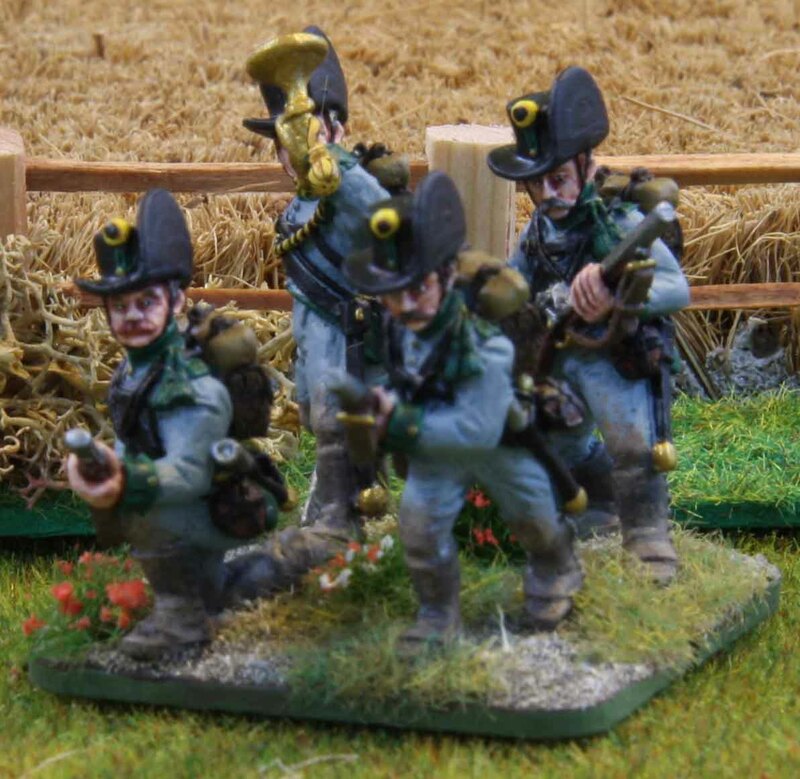 So far I have always painted skirmisher pairs for any unit I have done, but a good number of them are too small to actually deploy them under the rules. Guess I need to pay better attention in the future. Last but not least I wanted to go somewhat special with their flag. Since I could not find a proper flag for the unit anywhere online I decided to repaint one. So this is a Victrix 15th Infantry flag (photocopied) and then repainted as 4th Marine regiment. Not the best work, but it should work at table distance. So what is next… well I am in the process of assembling and cleaning up the minis for the 3rd battalion (2nd will be done last). I should start on those this weekend at the latest. I will do a write-up on how I do the mud when I paint those. There were a lot of requests for the technique after the last post, so that should answer all questions.